Jerome Kagan is not only a tenured professor at one of the most prestigious universities in the world; he is also considered one of the world’s best psychologists. In fact, his fellow academics ranked Kagan the 22nd most eminent psychologist of the 20th century. This ranking put the good professor ahead of Carl Jung (Yes – THAT Carl Jung), who was ranked 23rd. So, if anyone has earned the right to critique one of the most diagnosed mental health conditions in existence, it’s Jerome Kagan. And critique the condition, he does. 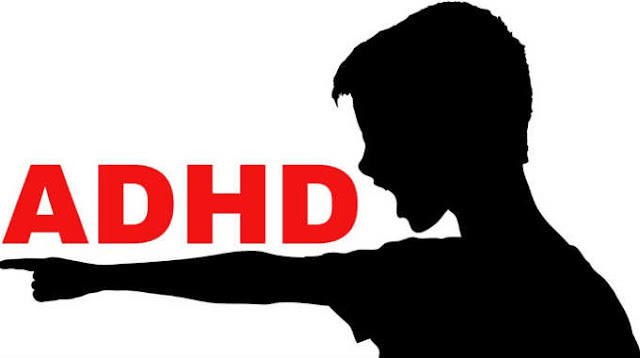 See, Kagan doesn’t believe that ADHD is a real condition. That’s right, Kagan’s position is that Attention Deficit Hyperactivity Disorder is a complete hoax. Needless to say, Kagan’s proclamation has ruffled a lot of feathers. Psychologists and other medical professionals have gone on the offensive, attempting to discredit Kagan’s statements. BUT, WHEN YOU’RE CONSIDERED A MOST IMPACTFUL PSYCHOLOGIST THAN CARL JUNG AND IVAN PAVLOV, DISCREDITING YOU IS A VERY DIFFICULT THING TO DO. So, what’s behind this story? Kagan is scathing in his criticism of the pharmaceutical industry. In Kagan’s view, the excessive amount of money circulating from the sale of prescription drugs is creating a number of problems. First, physicians can financially benefit from promoting and prescribing certain medications. Of course, this can incentivize medical professionals to over-diagnose a condition in order to earn supplementary income. Some doctors earn in excess of hundreds of thousands of dollars just for working with the pharmaceutical industry. In Kagan’s view – and in the view of most – this is both an immoral and corruptive practice. Second, pharmaceutical companies have amassed a sizeable influence on the political process. “Big Pharma” spends billions of dollars each year lobbying politicians to get what they want. In Kagan’s view, this is contributing to the corruptive influences within Washington D.C. and elsewhere. Finally, Kagan says that more money flows to psychologists, psychiatrists and others who conduct research on conditions such as ADHD – a result of over-diagnosis and over-prescription. So, they are certainly not exempt from Kagan’s criticism. Kagan uses depression as an example here, but he says that misdiagnosis – and hence over-diagnosis – occurs across an entire spectrum of mental health conditions. In simple terms, not everyone who displays a symptom or behavior has a mental health problem. Especially children, who are a “bit” prone to unpredictability. In Kagan’s estimation, a number of big problems exist across the entire fiend of psychology. While he is sharply critical of ADHD over-diagnosis, and for good reason, the problems Kagan speaks of spans the entire mental health field. As such, there are no simple answers. But Kagan is adamant that mental health professionals must shift their approach to diagnosing ADHD, depression, anxiety, and other disorders. The answer? Psychiatrists and other mental health professionals need to begin making diagnoses similar to how most other doctors do: by looking at the causes, not just the symptoms. Again, especially with children, who often don’t have a great ability (or desire) to fully explain themselves. In other words, those responsible for administering brain-altering drugs to children need to search a little deeper. Doesn’t seem like an unreasonable proposition.